Allegiant Air complaints number & email. Booked a flight out of Punta Gorda to Savanna Illinois to attend a funeral. The early morning flight time would work well for us to attend the funeral. Our flight was delayed 4 1/2 hours. Unfortunately we were not able to attend the funeral! Allegiant Air answer to my dilemma was a bottle of warm water and $50 off my next Allegiant Air flight. I don’t think will be using the $50 vouchers!! I first got charged an additional $50 for an already checked bag that was 13 lbs overweight... and another $50 for a carry on that they said was too big but other people's were larger than mine. When I went to get my luggage it was broke open and taped all around my clothes. Worst experience ever. The pilot was very nice so were flight attendants. 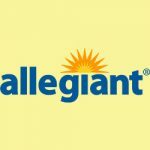 Get verified information about Allegiant Air complaints email & Phone number. To complain to Allegiant Air about their service, call 702-505-8888 to discuss your issue. If this is unsuccessful in resolving the problem, the company have a complaints procedure to follow. Allegiant Air provide a range of complaint handling options on their website. The first step is to phone the complaints line on 702-505-8888. Customers can use an online form to make a written complain online, and there is a postal correspondence option. There is a summary on the website of how Allegiant Air will handle your complaint and what communication to expect. Allegiant Air is an American low-cost airline that operates scheduled and charter flights. The 9th largest commercial airline in the US, it is wholly owned by Allegiant Travel Company. From America’s favorite small cities to world-class destinations, Allegiant makes leisure travel affordable and convenient. Hopefully, We helped you to get some genuine records for Allegiant Air Complaint information. Use below complaint form to discuss problems you have had with Allegiant Air, or how they have handled your complaints. Initial complaints should be directed to Allegiant Air directly. You can find complaint contact details for Allegiant Air above.